Periodontal disease is inflammation and infection that destroys the tissues that support the teeth, including the gums, the periodontal ligaments, and the bone around the teeth. Calcified plaque (tartar) that is full of bacteria becomes trapped at the base of the tooth. The plaque and the tartar irritate and inflame the gum tissue causing further progression of the infection down the side of the tooth. The progression of the infection on the side of the tooth causes pocketing where the bone, tooth and gum tissue all meet. Periodontal disease is tricky, even with the inflammation, there may not be any pain or discomfort until the disease is advanced. 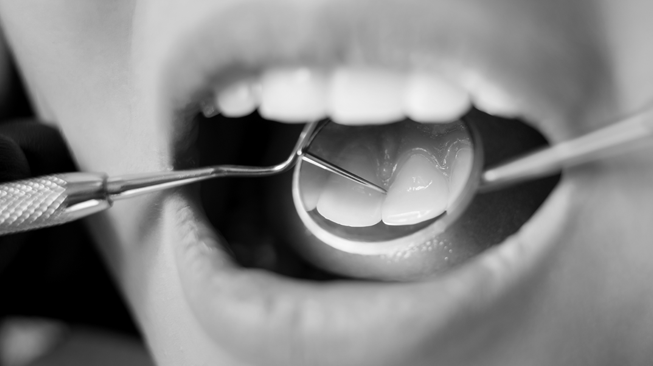 Advanced gum disease can lead to tooth loss, infection, and longer looking teeth.